George Washington “G.W.” Harrel, 78 year old resident of Leedey, OK, passed on September 29, 2016 at his home in Leedey. G.W. was born to Hugh and Clystia (Weast) Harrel on April 9, 1938 in Leedey. He grew up on the ranch in the Leedey area. G.W. attended grade schools at Liberty Center and Canadian School. He attended high school at Leedey Public Schools and graduated with the class of 1956. G.W. proudly served in the US Army from 1956-1962. On June 5, 1959, G.W. married Karen Avent Kauk at the Leedey First United Methodist Church. They were blessed with three children Celo, Jason, and Misti. G.W. and Karen made their home in Leedey and northwest of Leedey where he worked as a Rancher. G.W. enjoyed many hobbies, including quail hunting and fishing. G.W. loved to coach T-ball and baseball and attended every baseball and basketball game of the Leedey Bison. G.W. was baptized at the age of 9 years old at the Liberty Center Church. In 1958, he joined the First United Methodist Church of Leedey. He loved telling stories and jokes to Pastor Chuck so he could use them in his sermons. G.W. called Chuck daily. 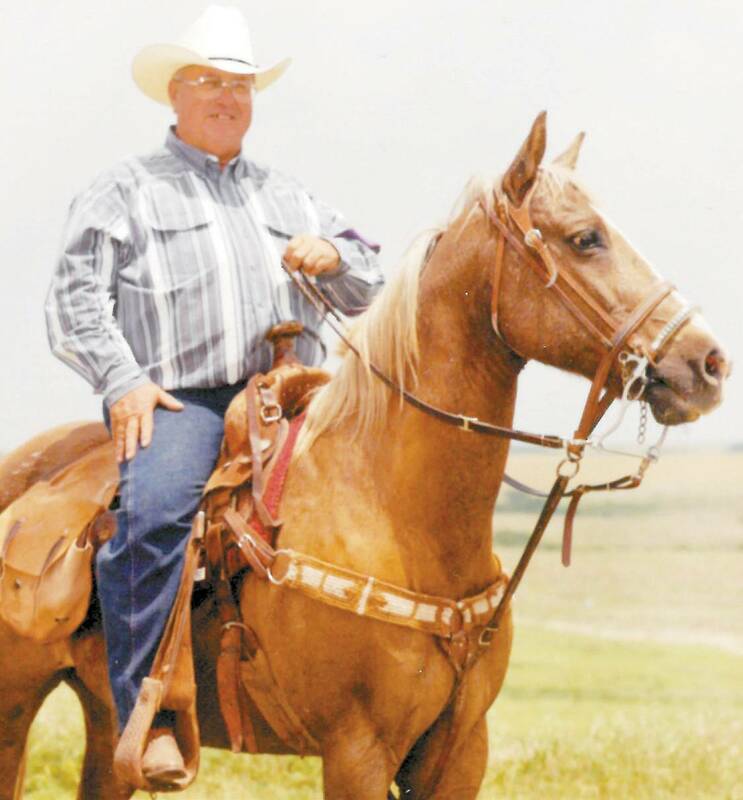 He was also a member of the Elks Lodge, Leedey Bison Fan Club, Leedey Chamber of Commerce, and president of Leedey Rodeo-Roping Club. G.W. was well loved by all his family and friends and he will be dearly missed. G.W. was preceded in death by his son Jason W. Harrel; parents Hugh and Clystia Harrel; parents-in-law Paul and Doris Kauk; niece Susan Ringer Sloan; and brother-in-law Terry Nichols. NextAuction Item Spotlight Experience Firsthand NFR Excitement!